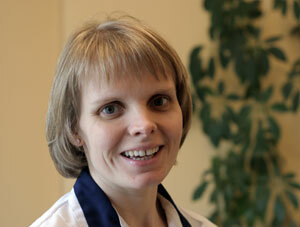 Rebecca specialises in Osteopathy. She became interested in Osteopathy while studying sports therapy. She has a great interest in sports and treating sports injuries. Sports therapy was of particular interest to her, and she was pointed to Osteopathy through a lecturer. She has always had an interest in Osteopathy and sports care, and has also studied core stability techniques. Since having children, she has become particularly interested in children and treating during pregnancy due to the specialist care they require. Rebecca worked as a sports therapist in an Osteopathic Clinic as well as a health farm in Bedfordshire. She studied at Oxford School of Osteopathy, gaining a BSc(Hons). From there she began practicing osteopathy. She started her own clinic for a year in a leisure centre, treating the clients and furthering her experience in sports treatments. In 1999 she joined Maple House Clinic and has practiced and studied here since then. Since having children, she has furthered studied by doing several courses in treating during pregnancy. She is greatly experienced in osteopathy and treats a wide variety of different patients from teenagers to elderly & sporting to sedentary. Rebecca's main enthusiasm is her interest in sports and sporting injuries. She is an accomplished triathlete herself but her whole family competes at various sporting events on a regular basis and most weekends she is involved in competitions.